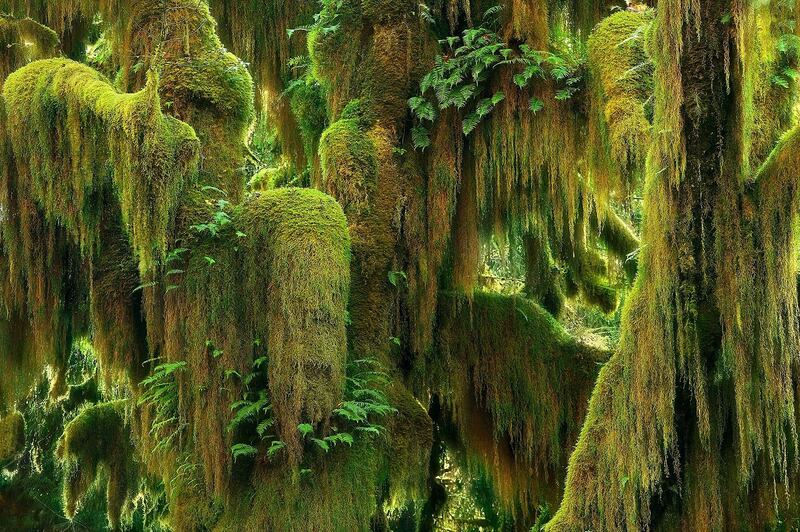 Lush tassels of moss hang from Maple trees in soft light. Hoh Rainforest, Washington. Photo © copyright by Marc Adamus.